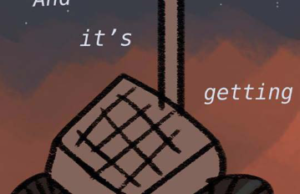 The novel “Ghosted” illustrates a love story that is tear-jerking and emotional. 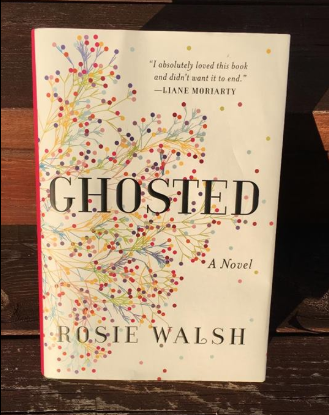 “Ghosted” is a novel written by author Rosie Walsh, published earlier in July of this year. This book was also published in the UK under the title “The Man Who Didn’t Call.” This is not Walsh’s first book, though it is the first written under her real name. Walsh has written four other books under the pseudonym, Lucy Robinson. “Ghosted” is listed in the contemporary romance category, meaning the romance takes place in the time it was written. The main characters, Sarah and Eddie, meet on one fateful day in late summer in their childhood hometown, instantly falling for one another as they spend a whole week together. Then the day comes where Sarah and Eddie must say goodbye, though Eddie promises to call. A day passes, and he doesn’t. More time goes by, and there’s still no word from him. What could have happened to him? What could Sarah have done to drive him away when they had been so sure about their future together even after just one week? The realization is a shocking as well as heart-breaking one, but how could they have known when they haven’t shared the full truth of their past? “Ghosted” is definitely a thrilling page-turner, leaving the reader questioning and questioning, waiting and watching until it all falls heartbreakingly into place and the truth is revealed. Only then can the main characters make amends and find each other in their hearts again, leaving readers with teary eyes and warm hearts. With 352 pages, “Ghosted” is a tear-jerking novel that’s sure to leave the reader wanting more.